That's right! In my opinion, the most important part of a trip with your recreational vehicle is the preparation. Why is that? Well, a camper who takes the time to make the appropriate pre-checks and plans will invariably be the one who pulls into the campground, on time, well rested, and without any horror stories to tell his fellow campers. To that end, here are some things that I recommend for every camper who is planning a trip soon that will take them to "places far away and unknown" with a smile on their faces. We all that we should do this, but we often skip some important steps. Invariably, your "Old Pro" has taken the time to do the following before he pulls out and onto the highway. He has his latest version of his Maps marked with his route and stored close by his driver's seat. the option for alternative routes of travel in case of bad weather, construction delays, or even wrecks along the roads he plans to use. No one, and I mean no one, ever wants to pull out for a long day on the road in foul weather, or with foul weather ahead of them. All campers that I know, who have been into camping for a while, look at the weather prediction for their campground for at least the next week. And they can probably tell you the weather outlook at their next destination for the next week also. With today's many sources of the latest weather for every zip-code in the country, via email, websites via Wi-Fi, TV stations, and more, there is really no good excuse for not knowing what the weather is supposed to be. Several times I have left one campground for another a day early, to avoid an impending bad storm on my originally planned day of travel. 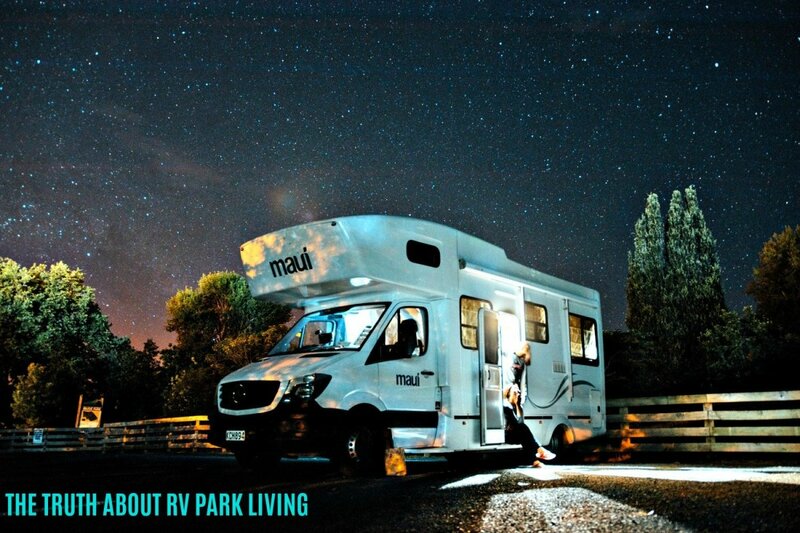 You should also have already checked out your RV to confirm that it is ready for a day or more on the open road. You should always check the following on your RV. 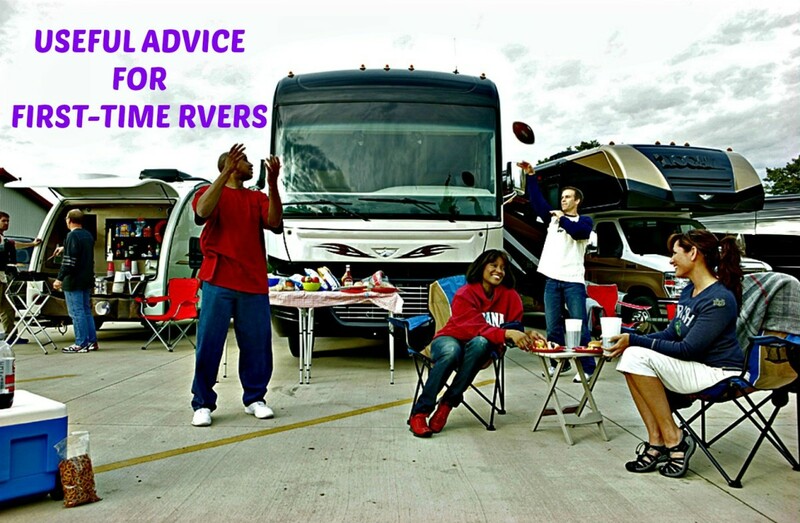 If your RV is motorized, or if you tow it with your truck or car, you need to make sure that the drive train, and especially the engine, is ready to give you a trouble-free trip. Check the level of the oil and other liquids, and make sure all belts are tight and not frayed or worn, as a minimum precaution. They don't cost much, and they are easy to replace. Why ignore them? From experience, I do know that a non-functioning, or even a torn or damaged wiper blade, can turn a nice day's drive with a chance of rain into a very dangerous trip for you and your family. Check them regularly, replace them when they show signs of wear, and carry new spare wiper blades, just in case. Make sure that you don't have any brake fluid leaks and that the brake fluid reservoir is topped off with the proper replacement fluid. Remember, not only are your engine and transmission working harder to take you down the road when you are towing an extra load, but your brakes are also working a lot harder every time you need to stop. basically that you haven't burned your brakes up, and they are in top shape for your next trip. Ask any motorhome driver and they will complain about their driver's seat. I have one of these that I use after a couple of hours to just reposition my back for a more comfortable ride. Remember, driving a very large motorhome, or pulling a very large camper, along with the ordinary demands of the road can wear any driver down as the day goes on. Plan on making frequent stops to stretch, rest, and rejuvenate yourself. This is relatively easy on our interstate highways, these days because every state has at least the occasional rest stop along the way. Many states have rest stops spaced every 40-60 miles along their major highways for your convenience, so find them on your maps and GPS devices and mark them for potential use before you pull out. They are not only a nice rest stop, but these Visitor Centers are usually manned with people that are there to answer your questions and help you find pretty much anything you might be looking for, if it exists in their state. Now, once you are driving on secondary and state roads, these nice rest stops will be nowhere to be found, so you have to find other alternatives to stop and rest. Usually, you will see large strip malls and chain stores ahead that you can take advantage of. The ones that you want will have multiple entrances and large parking lots for you to get around in and park and then leave safely. Just take a hint from me! 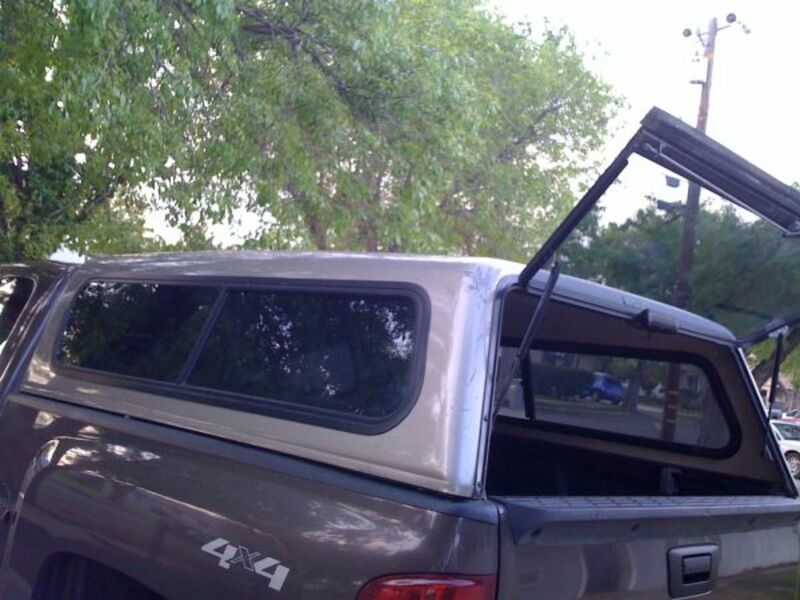 Know the length of your rig or vehicle and camper, and be comfortable with your driving skills operating them. If you are comfortable with operating your rig, you will be able to look at a parking lot and in a micro-second decide on whether to pull into the lot or not. This comes with experience. A clogged, cluttered or even crowded parking lot is not for you. You want open space and lots of it. There is one nationwide chain of stores that is probably used for emergency and overnight stops, more than any other in the country. That, of course, is WalMart. WalMarts across the country are very camper friendly; they invariably have very large parking lots that you can move around in easily, and they are well lighted at night. They generally have a policy of allowing campers to stay overnight in the far ends of their parking lots, if there are no local or county restrictions on campers staying overnight in public places. For those of you that are interested, there is a Yahoo group called walmartrving. I mean really, these people have a large and very active email communication system that will keep you informed or even answer your questions about specific WalMarts across the country. I highly recommend that you join this group, especially if you want to save a buck or two traveling to your ultimate campsite. They have some rules, but they are common sense rules, so check them out. Make sure that you plan your days travel so that you can arrive during check-in times. Most campgrounds will be locked up after these hours, and you could be sitting in a "Holding Site" at the campground or even worse, along the side of their entrance road. Always try to get an assigned site, and look it up on their website to make sure it is an acceptable one. Otherwise you might end up with a site next to the sewage lines, next to the bathhouse, next to a highway, next to the dumpsters, or next to a high-traffic area. And if you can't get an assigned site, you want to get there early enough, during check-in times, to avoid such sites. 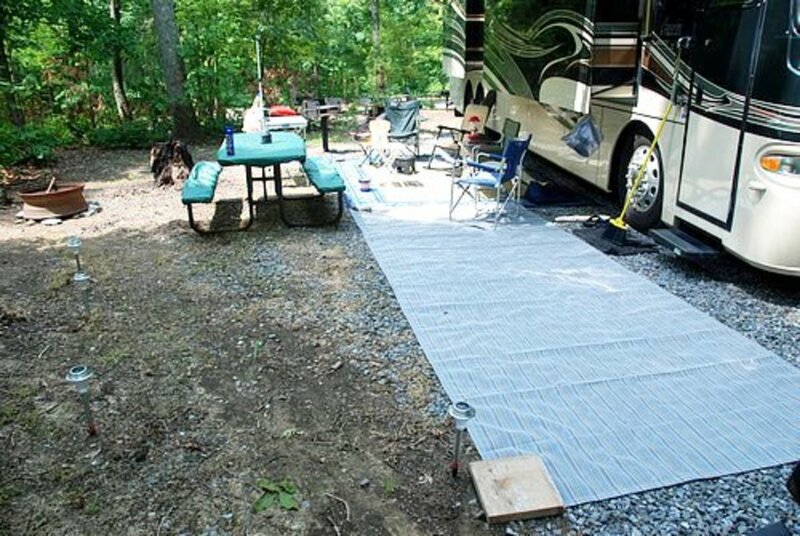 A bad campsite—dirty, noisy, smelly, or worse—can ruin a nice vacation, every time. Ask about if your campground's amenities are going to be there and available for you at the time you are coming. A pool under repair, or even closed, is no pool at all as far as you are concerned. So, check beforehand that the campground has one and it is functioning properly. A clubhouse being remodeled or repaired is, again not a clubhouse for you. And the if the clubhouse is closed, their entertainment or recreational events may have been canceled too, so ask about that. The same with a fishing pond, or hiking trail, or a children's play area: if these listed "fun things to do" are important to you, make sure they are going to be up and running when you arrive. If they are not, that is grounds for you to find another campground, or at least to renegotiate the price. In today's world, we all want to stay connected with everyone. And our main ways of doing this are our cell phone (or smartphone) and our PC. For these to do us any good, we need connections to the outside. And many campgrounds now provide Wi-Fi access for their campers. Some are free, and some are national Wi-Fi provider chains that want to charge you for the access. Some of these can run $25 or more per week of access, so be prepared. You need to ask your campground if they have Wi-Fi available, how much it costs and is it high-speed or "snail" style data access. And, most importantly, is it only available in the clubhouse, or does it reach your assigned campsite. And ask if they have periods of the day/night that their system becomes overloaded. This happens far too often, I have found. Once you know these basic things about your campground of choice, you can sit back and take the final steps to have a fun time while there. You finally, after all of this, need to get online and check out the surrounding cities and towns and discover what is available for entertainment for you and your family. See the "sights," maybe have dinner, or just explore this new part of the country that you are camping in. Discovering this is easy these days, with nearly every town having a web site with pages of information designed to draw you there to support their town and their business. But you might want to take a look before you leave home. 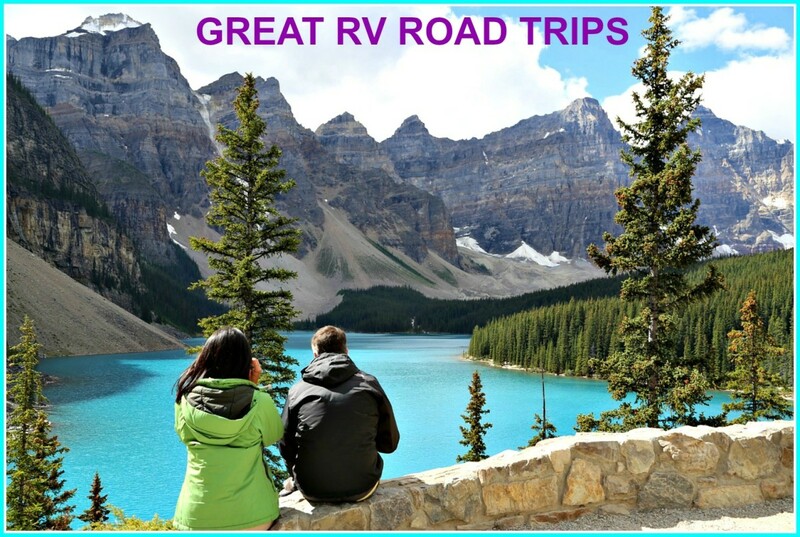 Once you have made these basic preparations and investigations, you can pull out for your vacation with the confidence that you have done pretty much everything possible to assure a great RV trip. aesta1- What we have learned over the years is that you get so rushed as your departure time approaches, that you can always forget something you really wanted to take with you. So, yeas, we have let experience help develop our checklists. We don't RV but we do take long drives often and often in unfamiliar places so this checklist is really important. freecamping aussie- great to hear from you again and Happy Ne Year. When you do hit the US, and if you will be camping, I should mention that every state has Rest Areas on the Interstate highway systems. Those are the highways with markers that are shaped like a shield and are red and Blue. Some of these rest areas have nighttime security and some do not, but all have clean restrooms and parking spaces for all size vehicles, including cmpers. And anothr thing, you should know. In all states, it is legal to park on public parking lots, like church parking lots, public waysides, and even shopping center parking lots. That is, unless that city or town or facility has a rule against people parking there. I enjoyed your article as it had points I missed out on ! We are traveling Australia with a caravan. Very soon we are storing it and traveling overseas so I will save your article for when we are in the USA ! James, Thanks so much for reading my Hub and commenting. One note though. Although your fuel expense is much larger with an Rv than with a car, you need to remember one thing. If you are traveling and are only going to stay in one place for one day, then keep your car and rent motel rooms. On the other hand, an RVer that wants to really see and explore America will want to plan a trip that allows them to stop for a week or more at each site, thus allowing them the time to absorb the uniqueness of the area and its inhabitants. This means that you will only be purchasing fuel 2 maybe three times a month. When you look at the fuel costs from that perspective, it is not nearly so significant. Thank you for publishing this great and needful Hub. I have never been an RV guy but I am seriously thinking about it. Gas prices have me a bit hesitant. 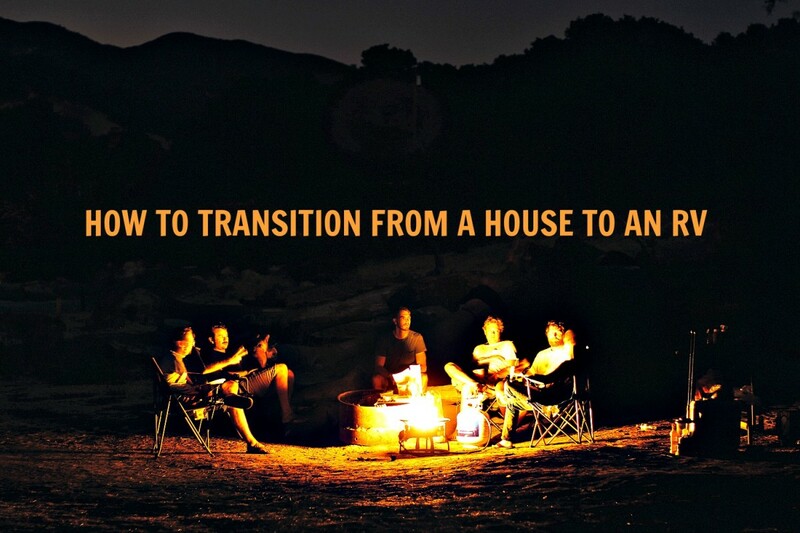 "Always try to get an assigned site that you can look up on their website and make sure that it is an acceptable one; Otherwise you might end up with a site such as; next to the sewage lines, next to the bathhouse, at the edge of a campground next to a highway, in a high traffic area, next to the dumpsters, and on and on and on. "And if you can't get an assigned site, until you show up, then these are the things that you want to get there early enough, during check-in times, to avoid. 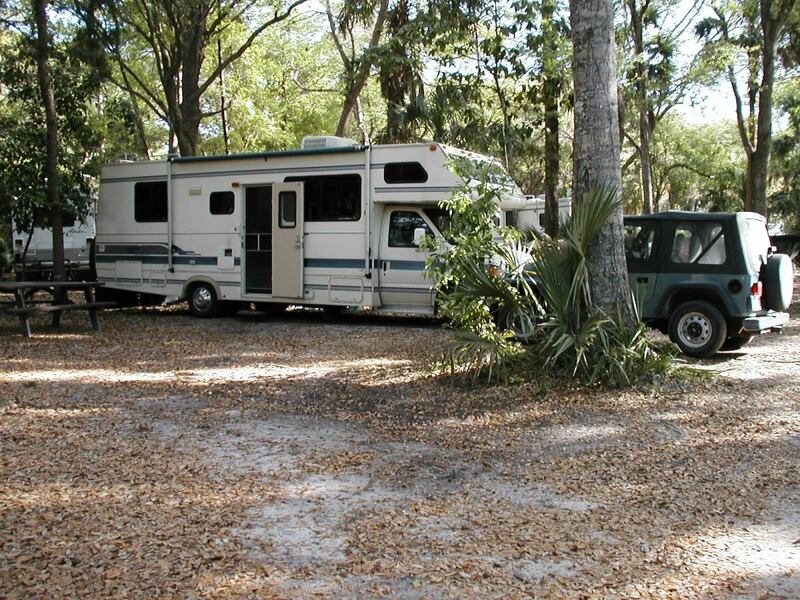 A bad, dirty, noisy, smelly, or worse, campsite can ruin a nice vacation, every time." Life does have a way of interfering with our plans, doesn't it? Right now we are also parked due to unforeseen complications, but our hearts are still on the road! Hope all works out for you soon! Thanks for your kind review, Stephanie. As an experienced RVer, I really appreciate your comments. We are still sitting here in Florida with our Rig sitting and waiting for us. 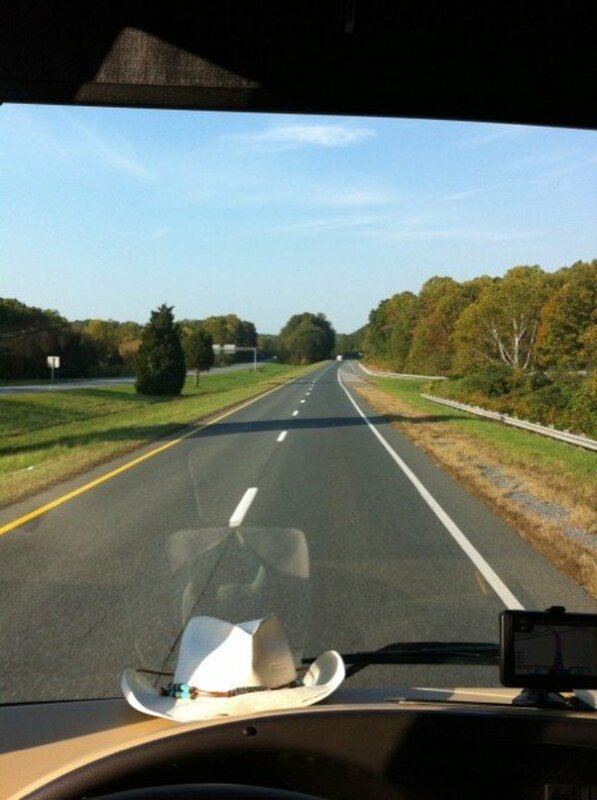 We are working out a lot of issues that happen when you get a little older, but we are still staring down the road with longing and hope to get back out there with you and all of our great RV friends, soon. Wow! This is one of the most comprehensive and useful articles I've seen on RV Trip preparation! Great writing filled with good common sense advice! As I read your article, I realized that this kind of trip preparation is exactly what most experienced RVers do. 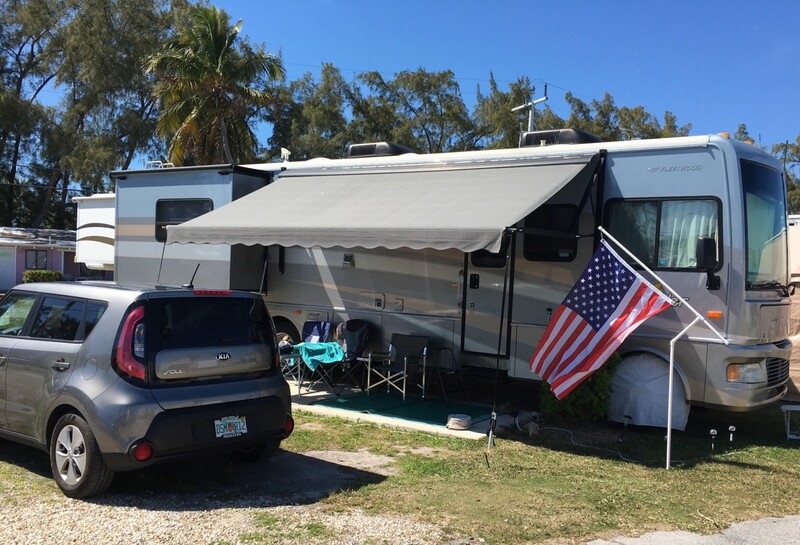 I'll be linking your article to my latest article on Features of the Best RV Campgrounds as I think it would complement it well. mythbuster- You got me,I never thought about the other explicit applications for this information when one needs to get away! Literally! You can leave those smelly and bothersome Zombies as well as the new radiation fields far behind you. Take care my friend! thanks timetraveler2 for the comment. Yeah, we all tend to do our own thing after experience teaches us that some of what we do is second nature. for instance performing a tire check is automatic for us, but a newbie, all excited but the prospects of travel can walk right past a half flat tire with a cut in the firewall. This is great advice, especially for beginners. We've been RVing forever, so don't need to do much of what you advise here. Of course we do all of the appropriate equipment checks, etc...but we still like the adventure of letting happen whatever will happen and usually it works out OK. However, if we were new at it, we would definitely follow your advice! molometer- thanks for the support and the kind words. Very useful interesting and sound advice. It is in the planning and preparation that trips are successful or not. Well done for laying it all out.